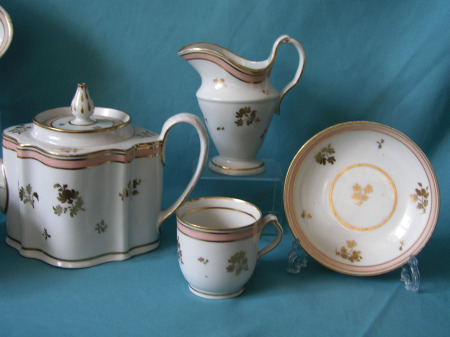 A part New Hall Porcelain teaset pattern 167, c.1785-90, comprising a "silver shape" teapot, cover and stand, a slop bowl, a "obconical" shape milk jug and a coffee cup and saucer with typical "clip-handle", painted in salmon pink and spray of flowers in gilt. Pattern Number 167, painted in puce (on the base of the stand and the milk jug). Dimensions: Teapot 15cm. high x 24cm. 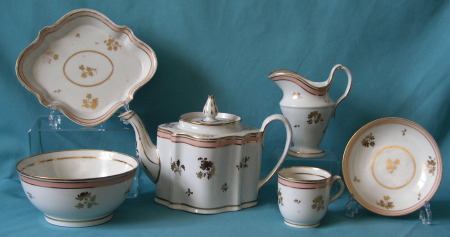 (from handle to spout), Teapot stand 19.5 cm. 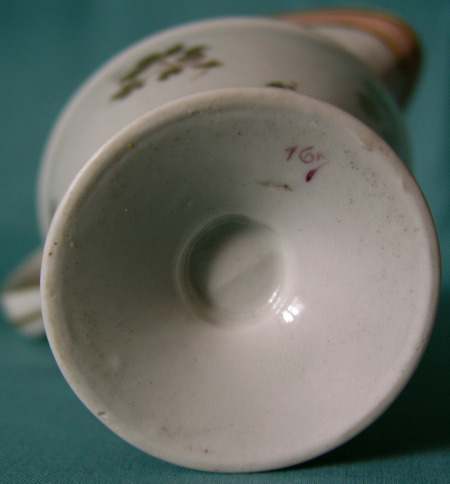 x 17cm., Jug 13.5cm high, cup 6.5cm high x 7cm diam., saucer 13cm. high. 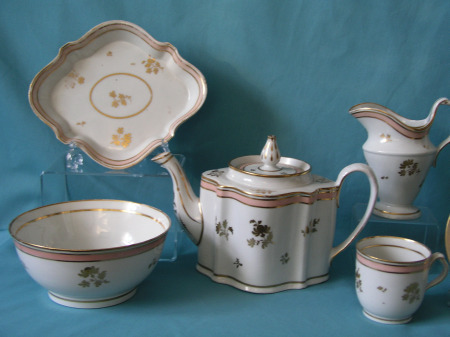 Condition: minor ware on the gilding. * Teapot and milk jug SOLD, the rest of the set is available.